Ring News 24Boxing News Breaking Boxing NewsDoes Anthony Joshua have the stamina to last 12 rounds with Tyson Fury? 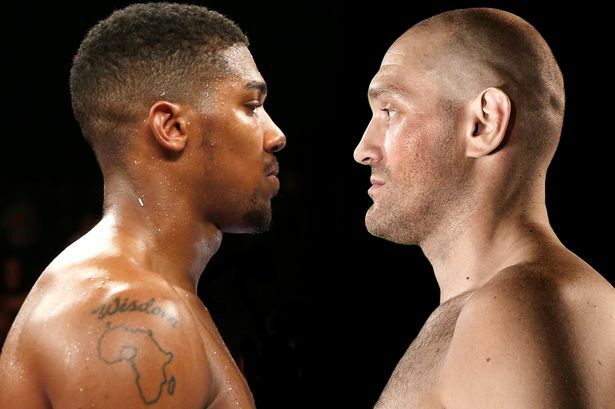 Does Anthony Joshua have the stamina to last 12 rounds with Tyson Fury? One of the biggest fights that can be made in boxing right now (big in both size and name value) is Anthony Joshua vs. Tyson Fury, for the right to reign supreme in the glamour division of boxing. Lasting the 12 rounds will be a difficult ask for Joshua in my view. I see Joshua’s bodybuilding physique as impressive but potentially detrimental to his ability to last the course with a fit and firing Fury. Joshua has a slightly stiff Frank Bruno look about him and Frank had some glaring deficiencies about his game, including a lack of confidence at times and a dodgy gas tank. Joshua does not appear to suffer at all for confidence but he showed against Carlos Takam that he may not be as sharp and destructive in the final rounds. Fury’s strengths lie in his ability to jab, move and use superior angles to confuse and offset his opponents. This makes it difficult for static power punchers to plant their feet and find the leverage required to unleash heavy single shots. Fury showed the perfect game plan against Wladimir Klitschko but Joshua is younger and fresher than the battle-hardened Ukrainian veteran and conceivably Robert McCracken and his training team could find a way for the unbeaten Londoner to close down the range and cut Fury off when he’s trying to throw and escape. “When Klitschko fought me, he couldn’t hit me at all. He kept throwing those big punches but I wasn’t there to hit,” Tyson congratulated himself, as reported in Joe.co.uk. If the Wythenshawe traveller can grab hold of Joshua in the early rounds when he tries to throw the bombs and constantly draw him into hugs and clinches, then he could physically “drown” the IBF and WBA ‘Super’ champion and empty his lung capacity very quickly. All of Joshua’s opponents have fallen before the end of the fight and that is why he boasts a statistically impressive 20 win and knockouts record. He showed against Wladimir Klitschko that the core fitness is there if needed, as he negotiated his way to the 11th round despite being knocked down and hurt during a physically gruelling contest. He then used his remaining strength and “second wind” to rally in the ending round and finish a rapidly tiring veteran opponent who had also tightened up the scorecards at the time of the stoppage and was ahead on Steve Weisfeld’s reckoning by a score of 95-93. As things stand, popular sports betting sites like 10bet will have Anthony Joshua as favourite should the fight happen against Tyson Fury – be sure to check prices at sports bets offerings at 10Bet. This shows positive signs for a potential Fury fight. Let’s in fact flip things around. Given his recent lack of activity and notorious jumps up and down in weight, if Tyson Fury rushes back into a fight with Anthony Joshua too soon, does the Ring magazine number one have the stamina himself to do the distance at a hard pace with Joshua? Reports have suggested that Fury’s team have half an eye on big French punchbag Johann Duhaupas, so a few rounds wrestling with him should grind off the ring rust. Whether we see Fury or Joshua prevail, should they ever meet, let’s just hope the fight can actually be made and we don’t end up with another Riddick Bowe vs. Lennox Lewis “what might have been” scenario.